Music – time, meter, measure. 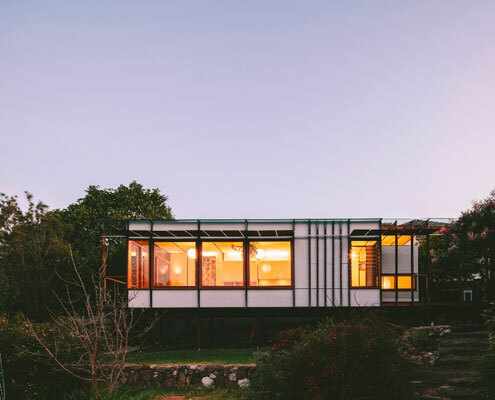 Takt | Studio for Architecture was formed to create meaningful buildings. Buildings that enhance lives. Buildings that age gracefully. Buildings that explore the possibilities of site, light, sustainability, material and desire. Takt is a collaboration between Brent Dunn and Katharina Hendel. The practice is built on previous architectural experience in Australia, Indonesia, Germany, the Netherlands and the Czech Republic. 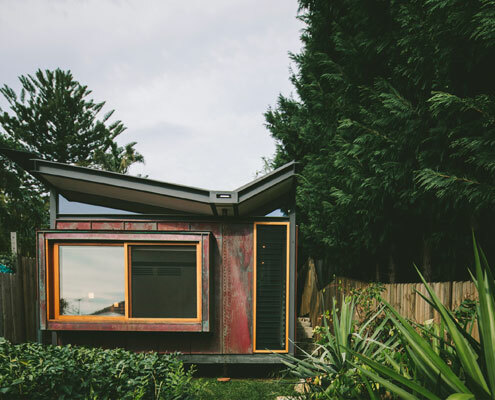 They work from their self-built studio, looking out through the trees to the coal coast, south of Sydney. Brent Dunn studied in Queensland and Tasmania and has worked on a wide range of design projects, including furniture, crafted residential and medium-scale public projects, competitions, and larger commercial projects. Katharina Hendel completed her architecture studies in Leipzig, Germany. She has worked in Germany, the Netherlands, the Czech Republic before moving to Australia. She has a particular interest in the relationship of the finer details of buildings to the urban/landscape scale of a project. Both have taught in universities and contributed to conferences abroad and in Australia. Brent has lived in more houses than he is years old before making a home between the escarpment and the sea and loves being in the ocean. Katharina’s other creative endeavors are photography and the dream of her own pottery studio.